Whatever that building is it is way cool! If it's good service it's a Mushroom, if it's bad, it's a toadstool! I'll take the Lincoln on the lift! My daughter and son in-law are in Little Rock (he's an Arkansas native) and sent me this info on the Gay Oil Co. and their gas stations. 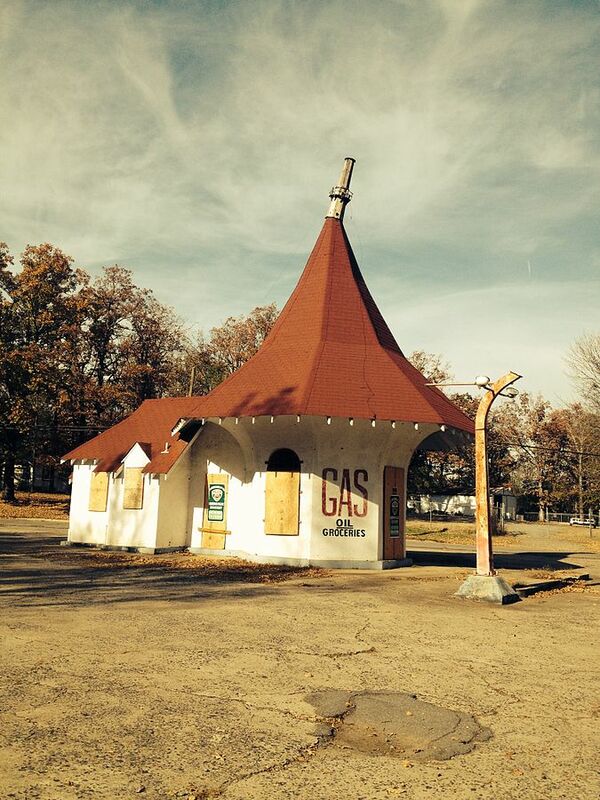 The Roundtop Filling Station, located on Trammel Road, recently was listed on the National Register of Historic Places. Sherwood officials plan on seeking grants to restore the structure that is showing signs of wear and tear. 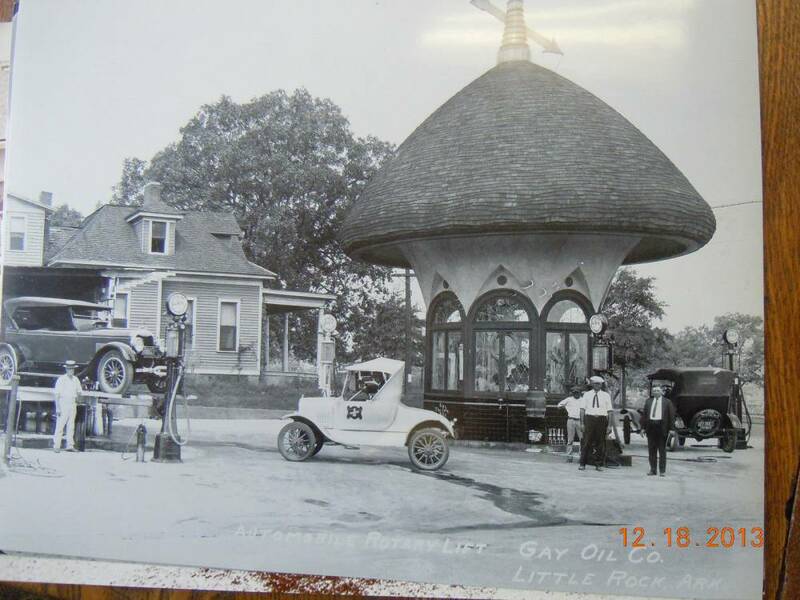 The Roundtop Filling Station on Trammel Road is one of 18 state properties that were recently listed on the National Register of Historic Places, the country�s official list of historically significant properties, Arkansas Historic Preservation Program Director Frances McSwain said. The Roundtop station, which is owned by the city of Sherwood, was constructed in 1936 and reflects the Mimetic/Programmatic style of architecture, according to McSwain. �Its defining characteristics, designed to provide visual interest to entice customers, include an octagonal main structure with a double-hipped turret roof, stucco walls, and arched window openings and entries,� according to the application. The Roundtop was open until 1958. Once again, nice picture Herb! I'll take the visible gas pump next to that Lincoln, got no more room in the barn and house garage so Mark, the Lincoln's yours!! That mushroom building sure makes those cars look tiny! Here it is for easier comparison.